Mom boss: balancing entrepreneurship, kids & success by Nicole Feliciano – left her role as an executive at Ralph Lauren to launch the Momtrends blog in 2007. Now more than 500,000 moms check in with Montrends. What’s this all about? Better read it. Plot 29: a memoire by Allan Jenkins – ‘a superbly written testament to the power of earth to nourish and heal’ one critics viewed. It’s original and brilliant. If you love personal story, it’s for you. 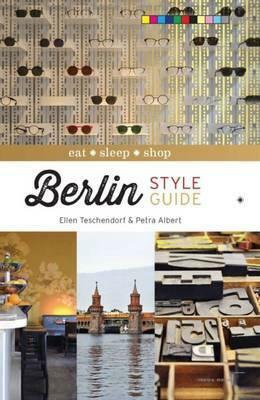 Berlin style guide by Ellen Teschendorf & Petra Albert – I know it’s not a Paris style. However every place has its own unique style and eat, sleep, and shop! This entry was posted in New Arrivals, Non Fiction and tagged City of Parramatta Libraries by admin. Bookmark the permalink.